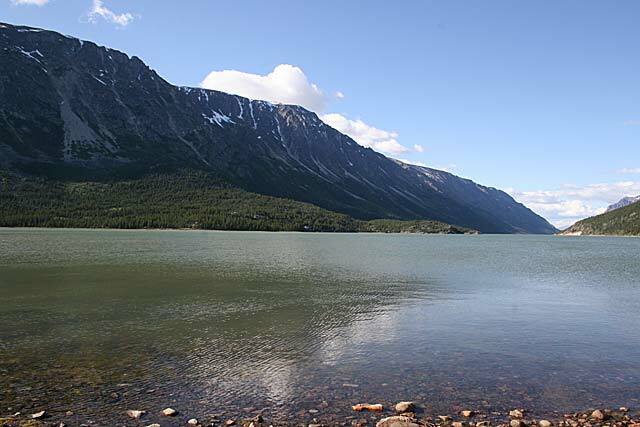 Lake Bennett, darkened once by the rafts of gold-seekers, but disturbed now by no more than a ruffling wind or the spatter of water-drops behind a string of ducks rising to fly. 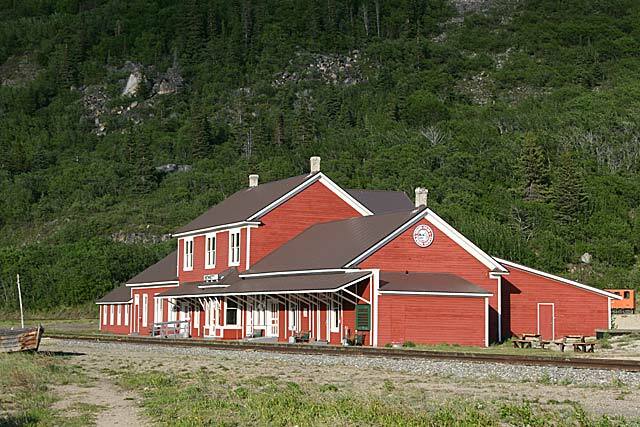 Bennett, British Columbia, Canada is an abandoned historical town next to Lake Bennett. 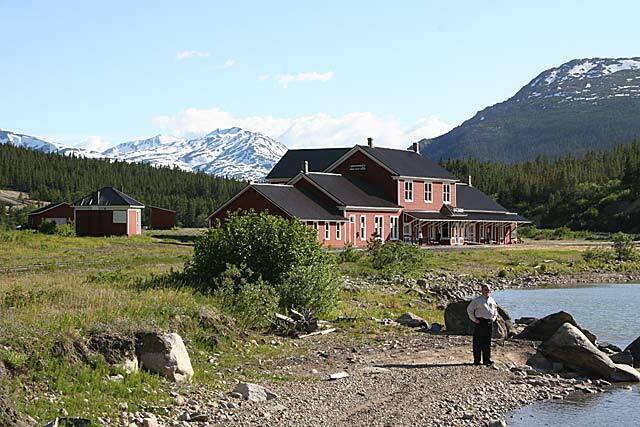 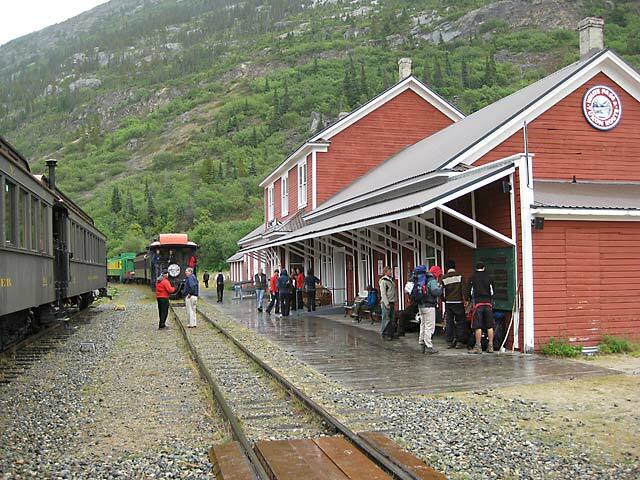 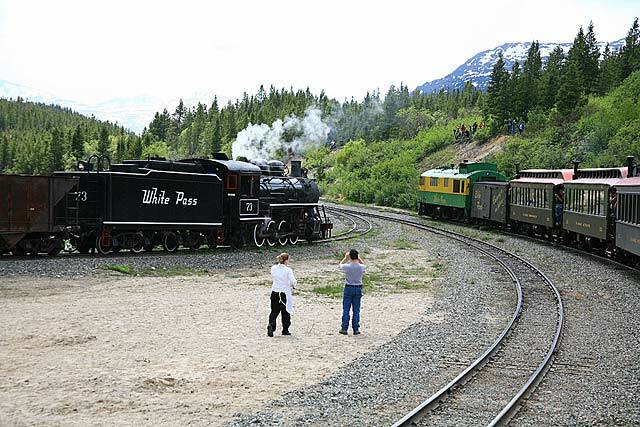 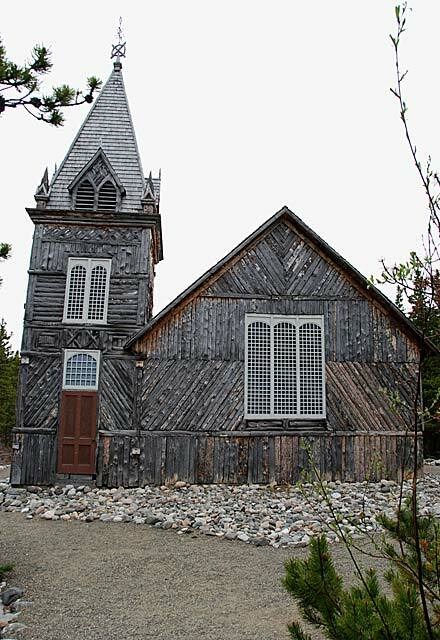 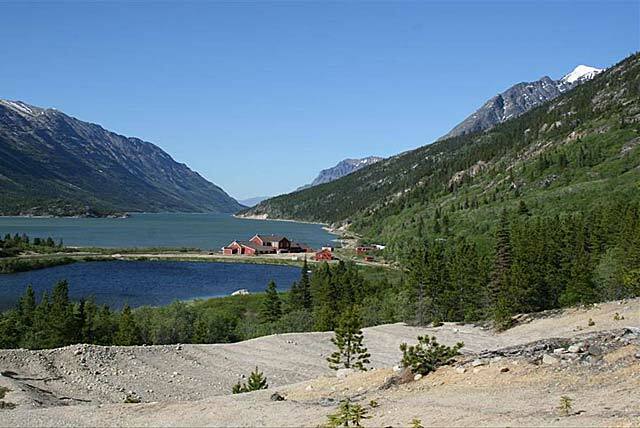 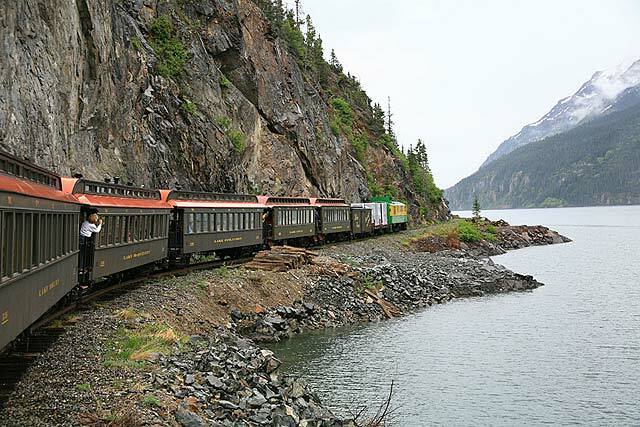 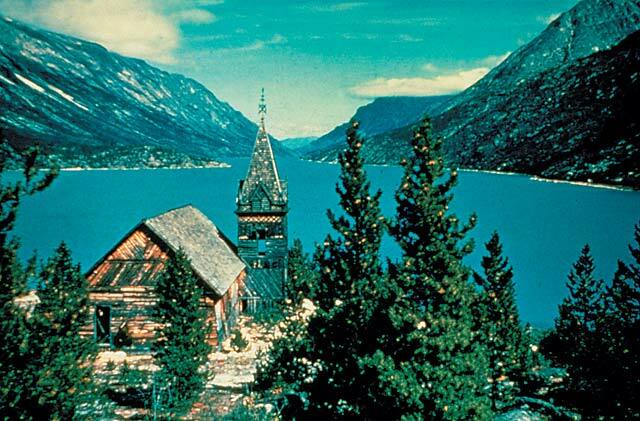 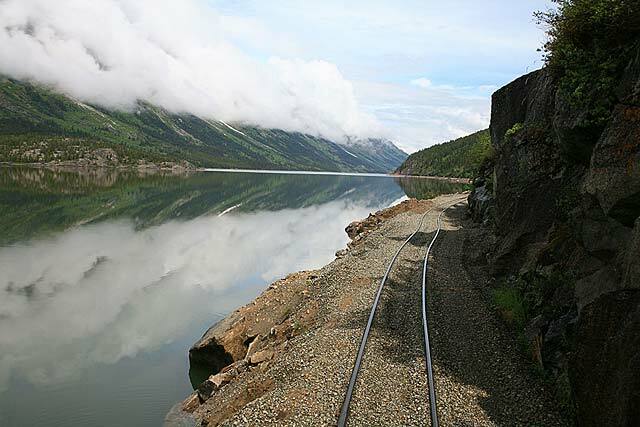 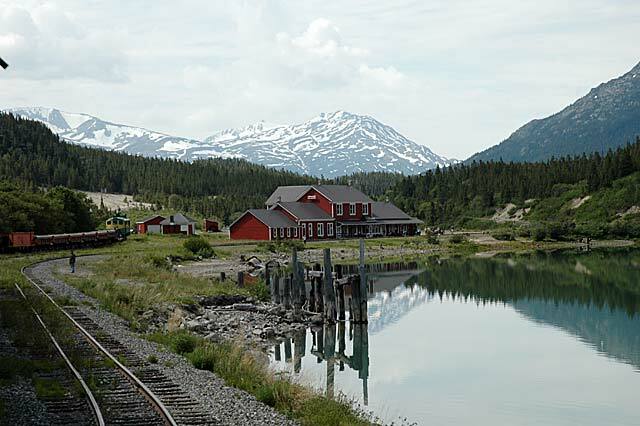 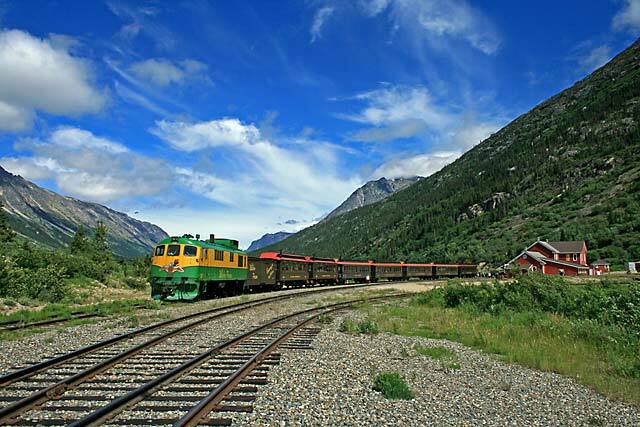 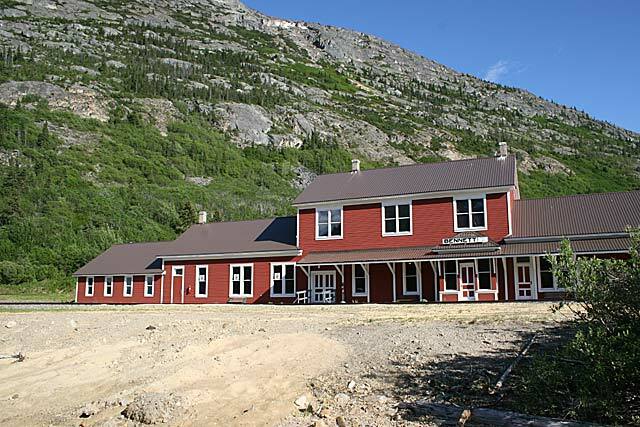 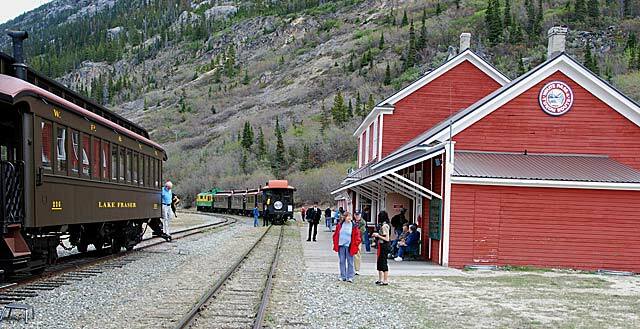 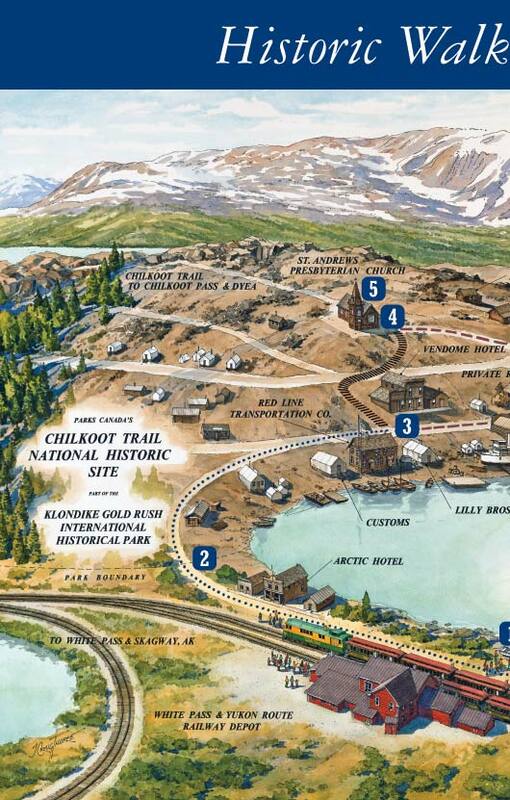 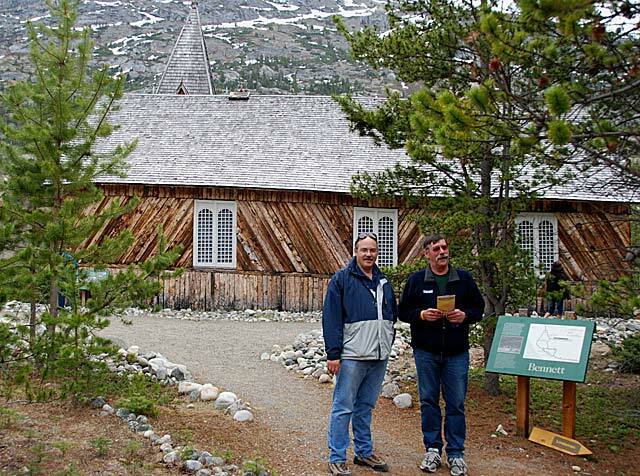 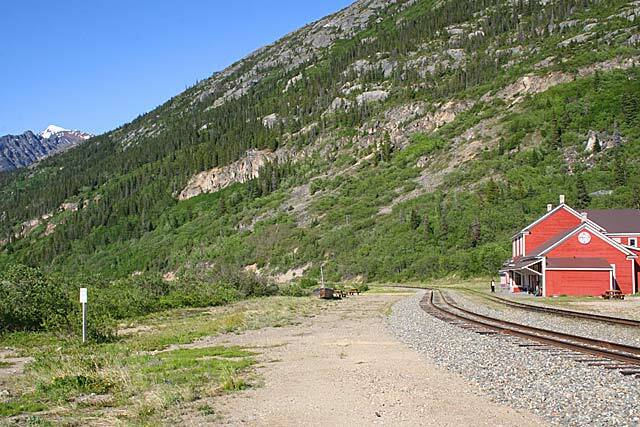 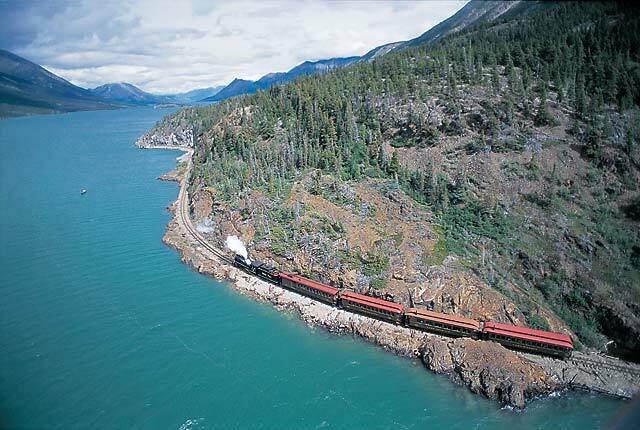 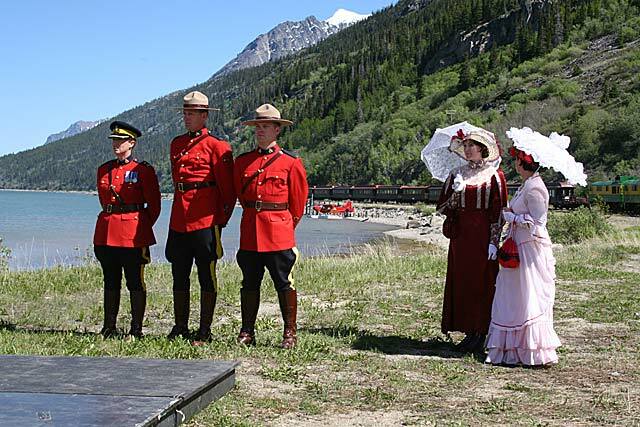 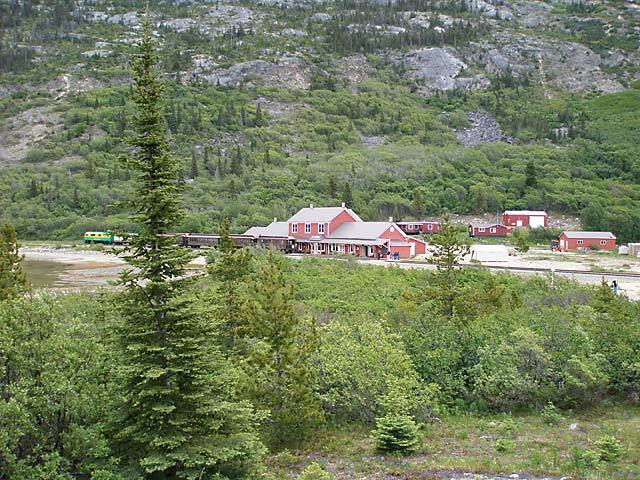 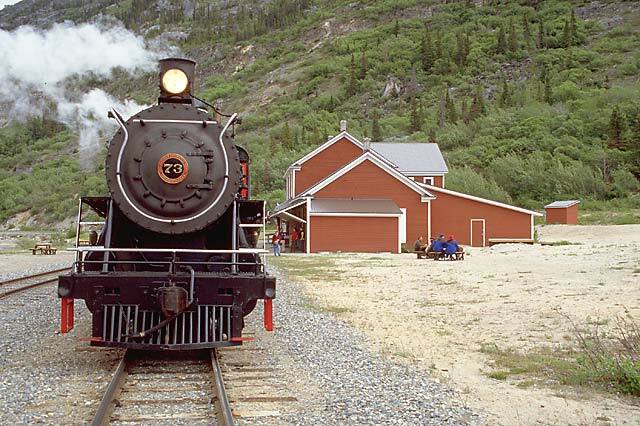 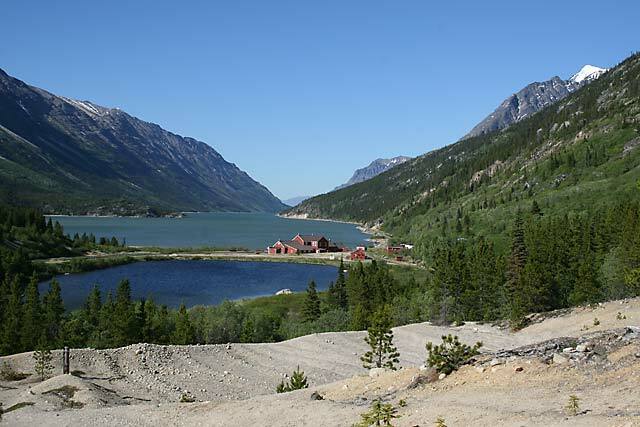 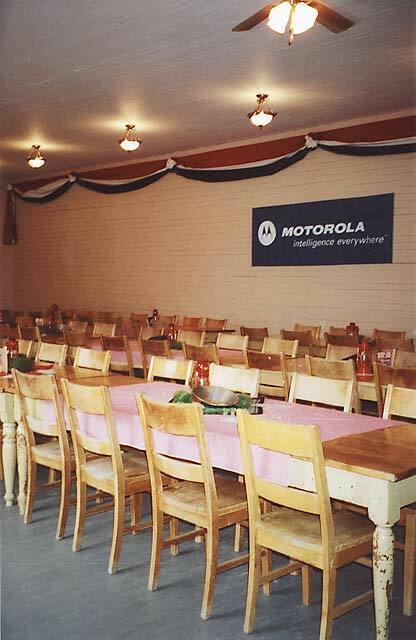 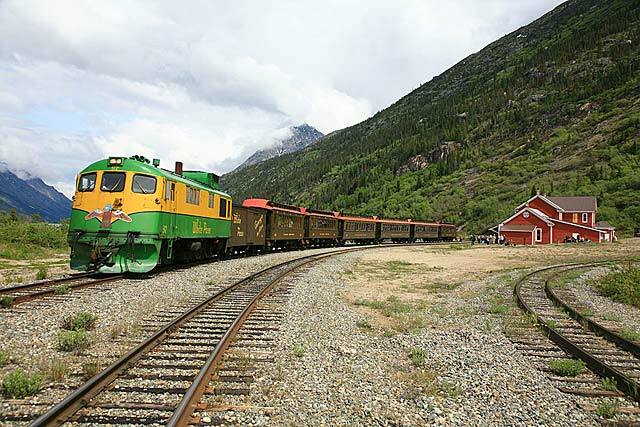 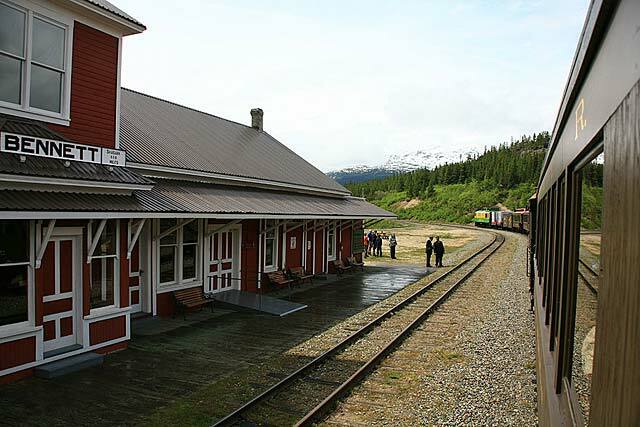 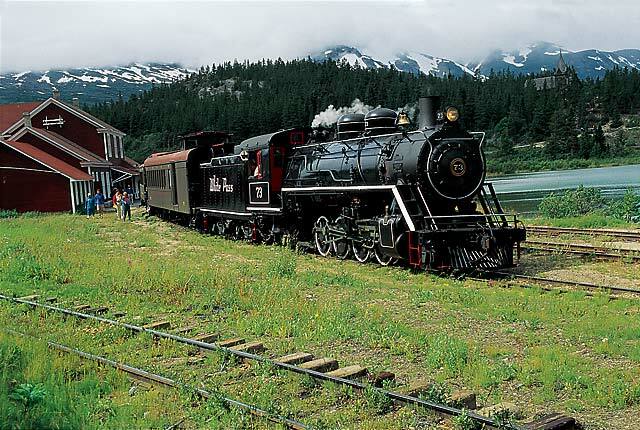 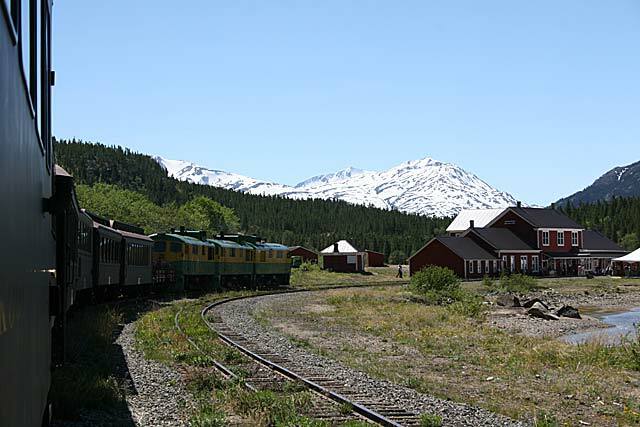 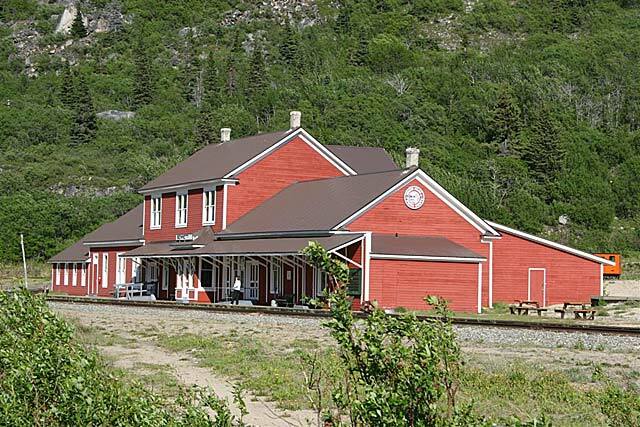 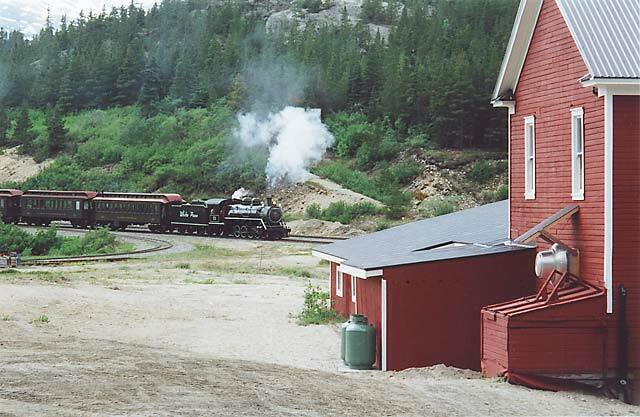 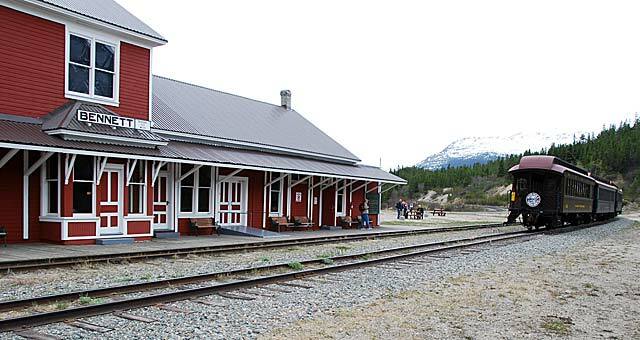 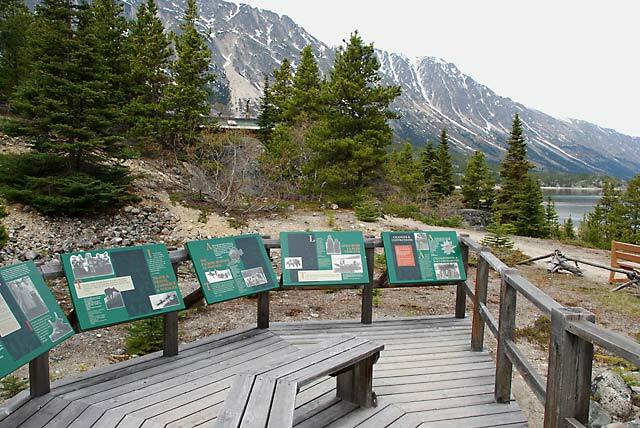 It was built during the Klondike Gold Rush of 1897–99 at the end of the White Pass and Chilkoot Trails from nearby ports of Skagway and Dyea in Alaska. 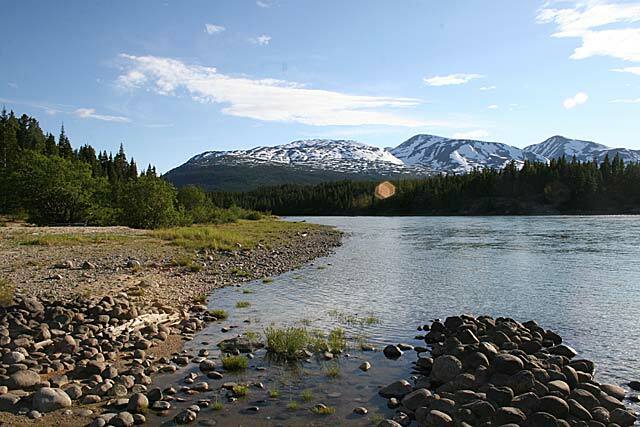 Gold prospectors would pack their supplies over the Coast Mountains from the ports and then build or purchase rafts to take them down the Yukon River to the gold fields around Dawson City, Yukon. 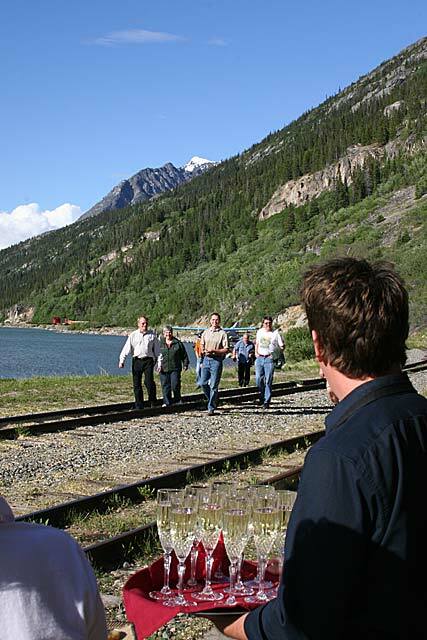 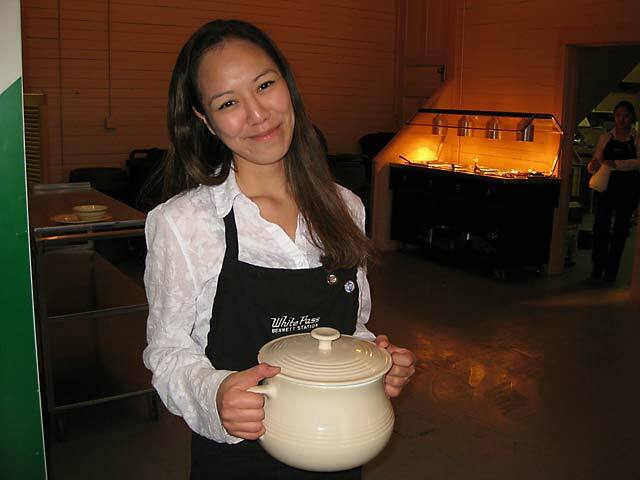 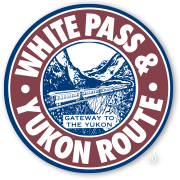 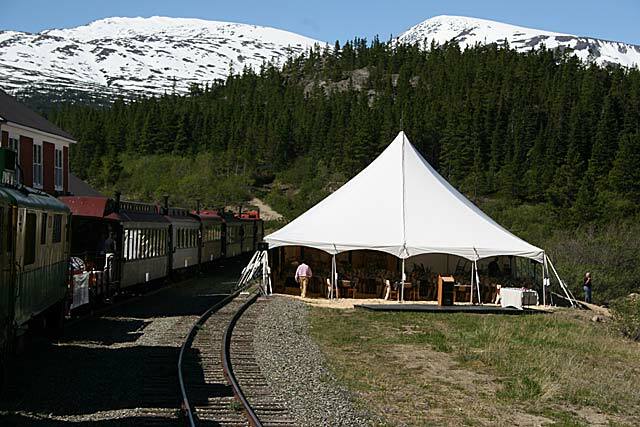 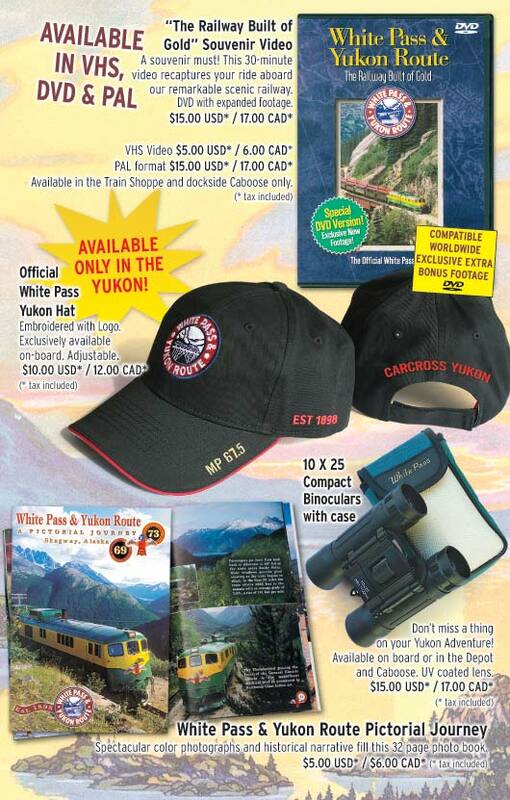 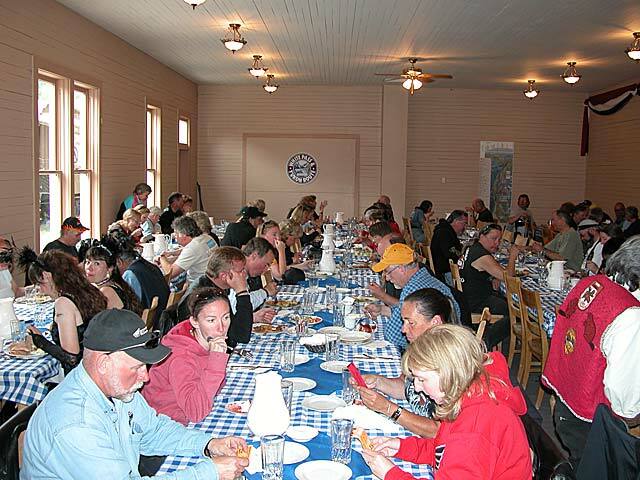 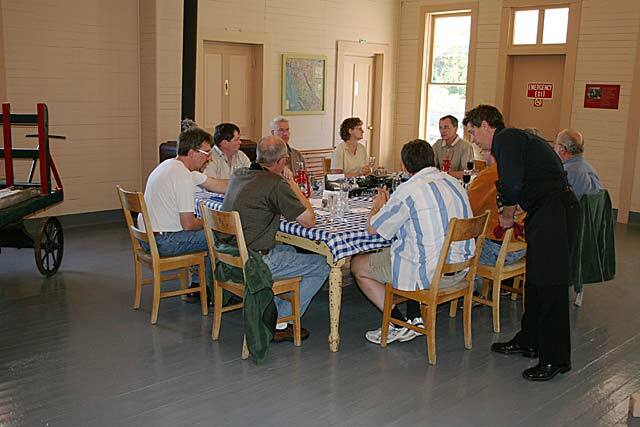 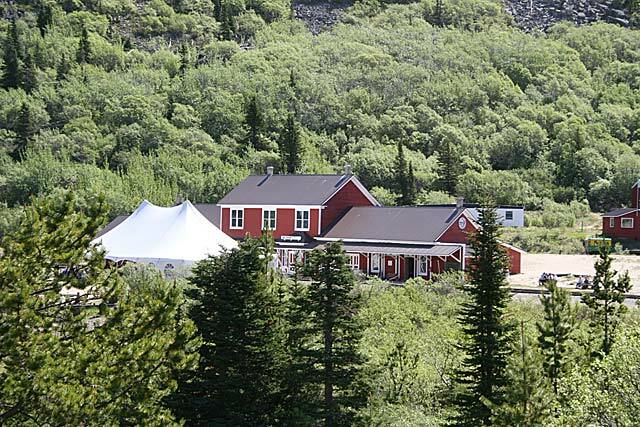 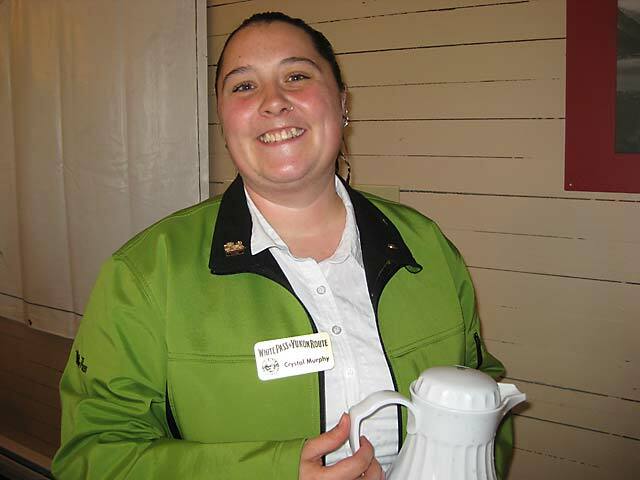 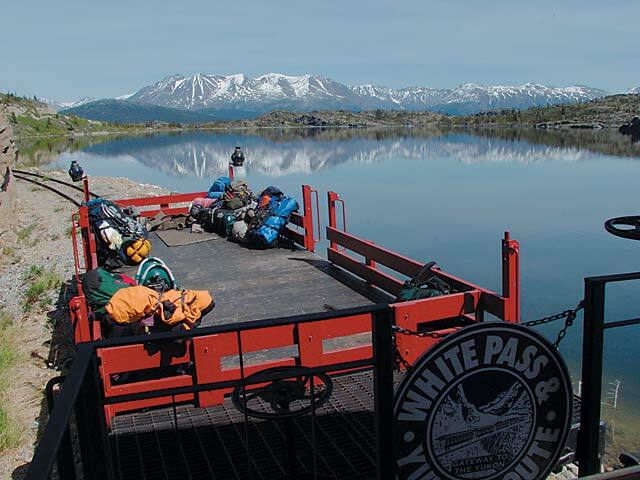 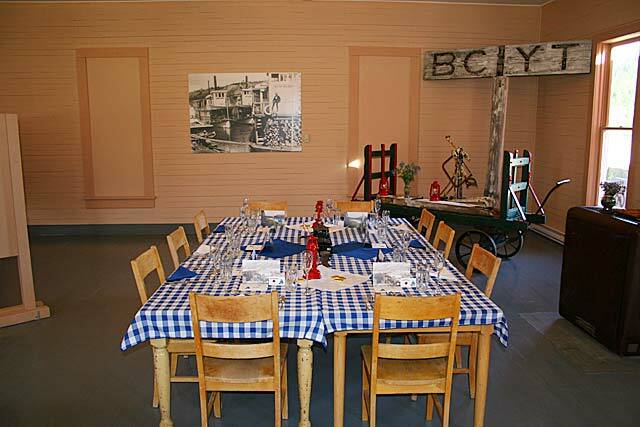 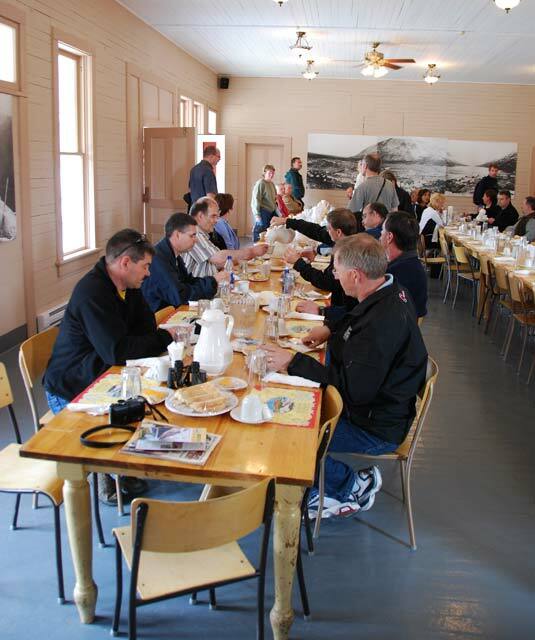 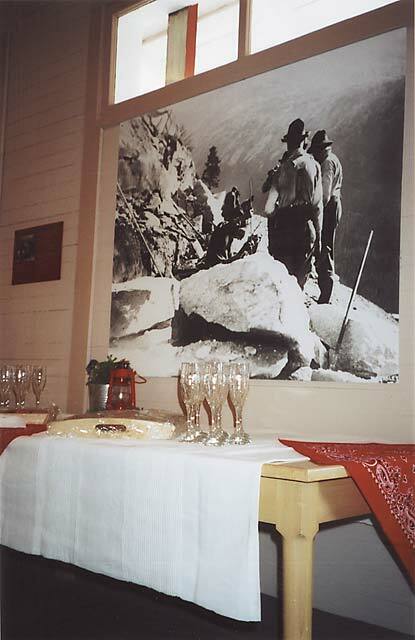 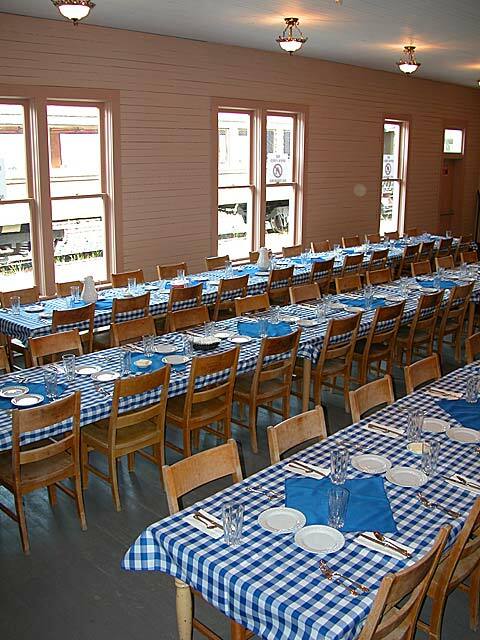 Today White Pass & Yukon Route features Bennett as part of the Yukon Adventure excursion and also as a charter package for meetings/events & weddings. 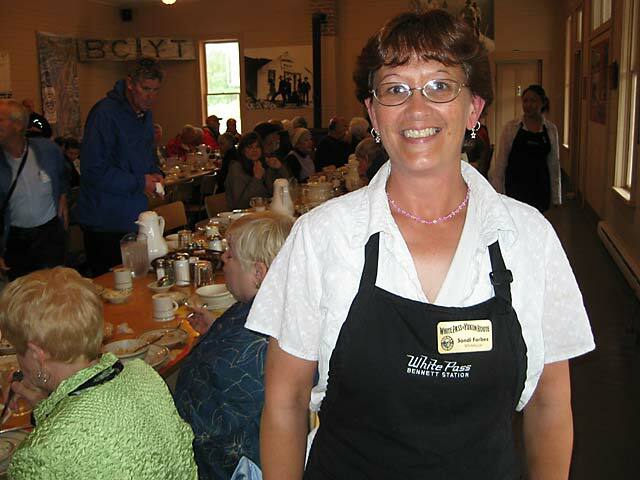 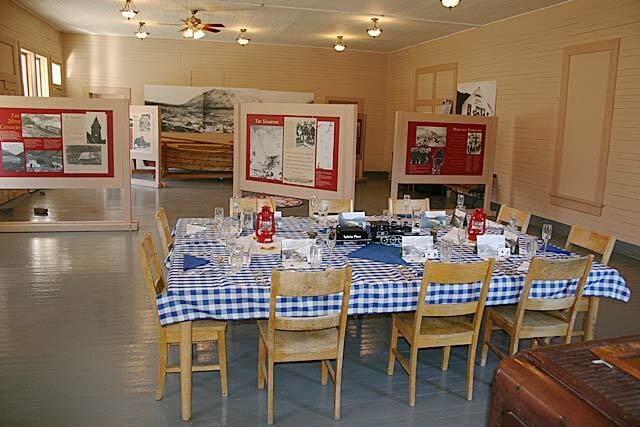 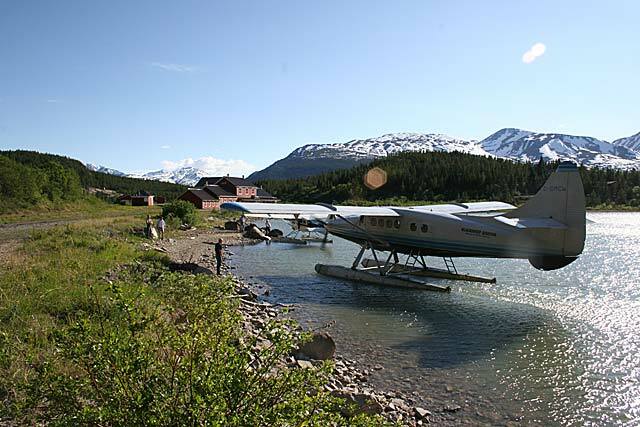 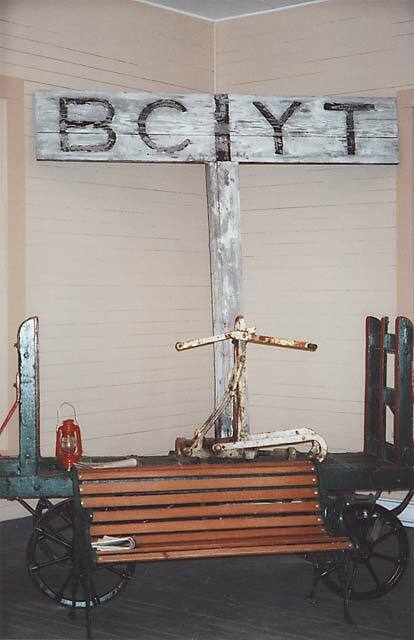 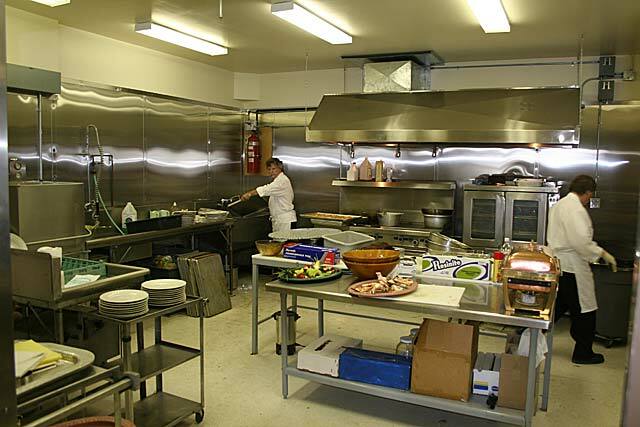 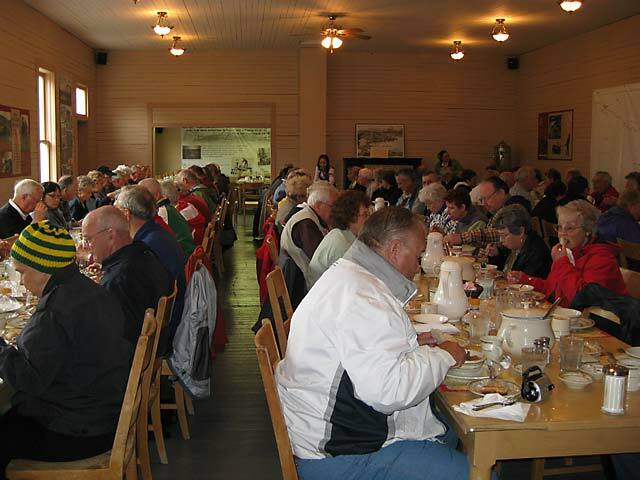 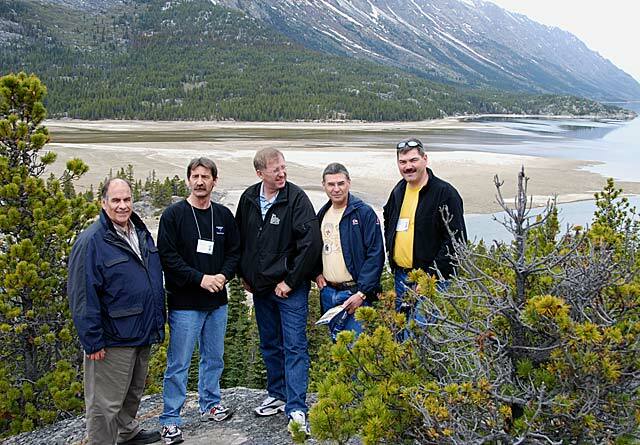 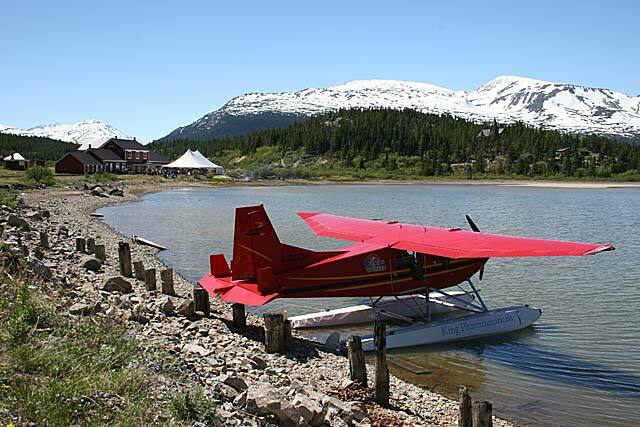 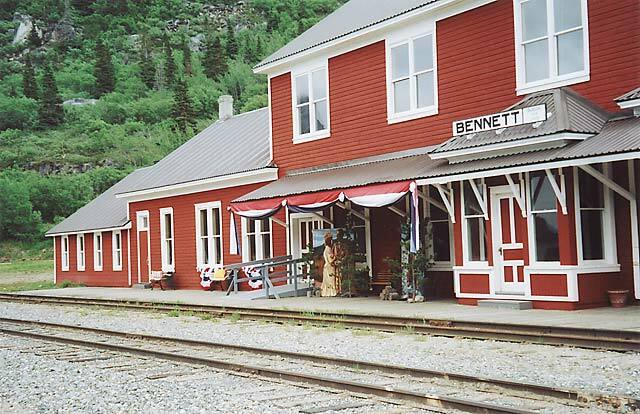 The Yukon Adventure Excursion stops in Bennett. 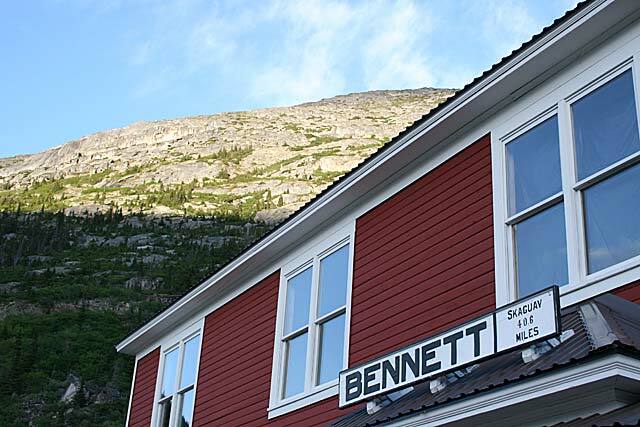 The Bennett Experience can be easily built into any existing itinerary. 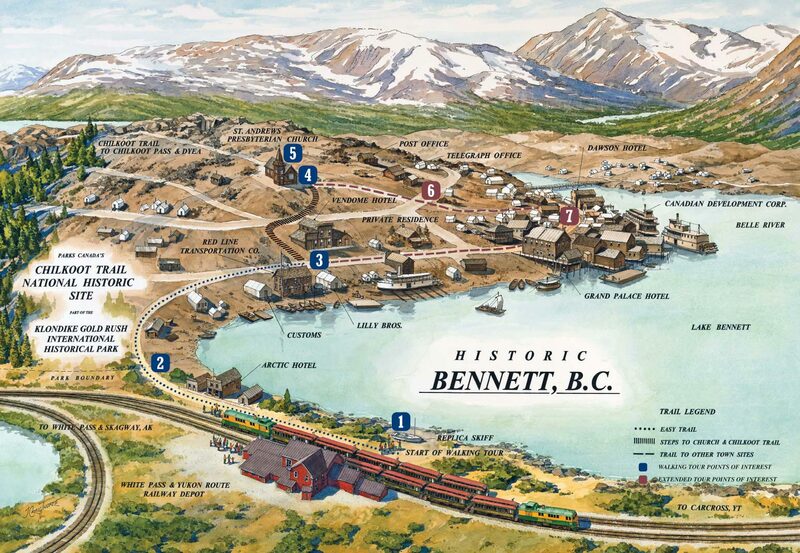 Book an excursion to Bennett. 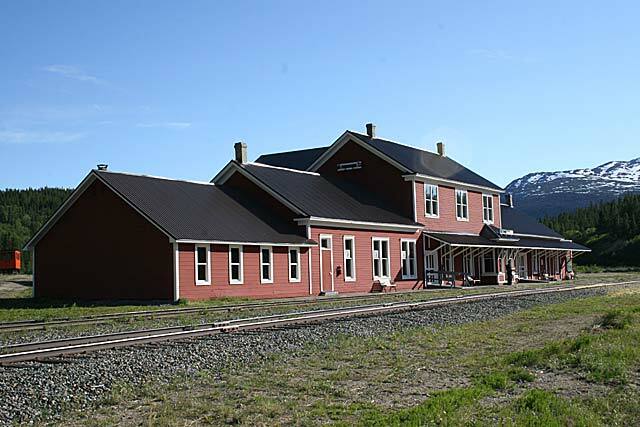 This 360° panoramic was taken across from the station. This 180° panoramic was taken onroute to Bennett. 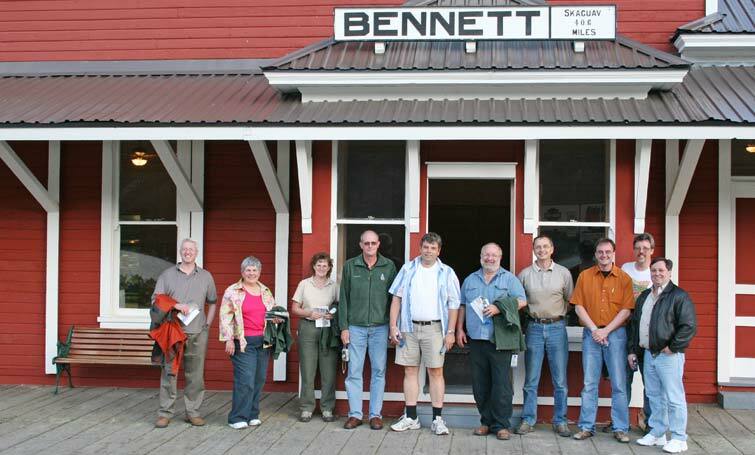 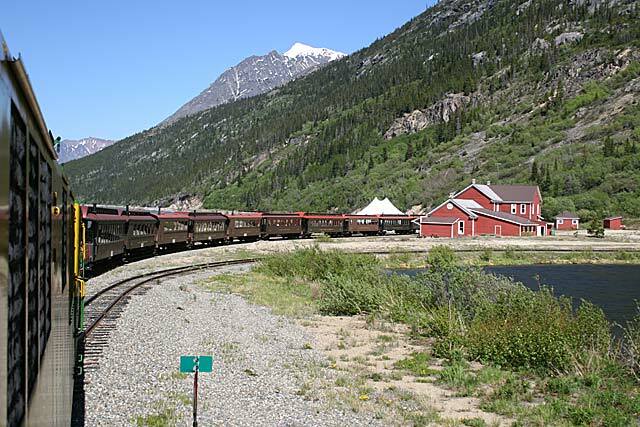 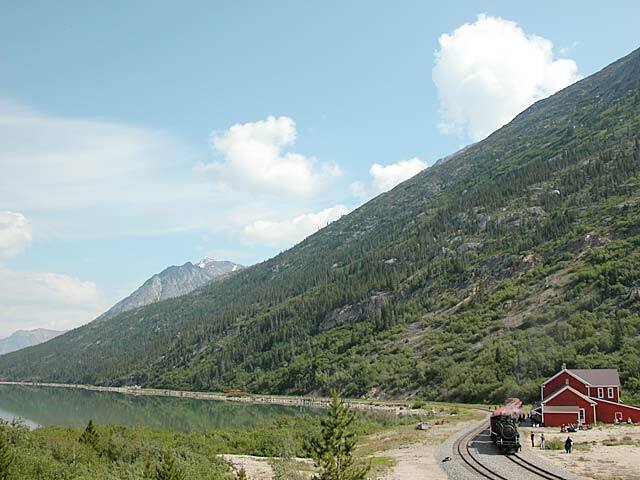 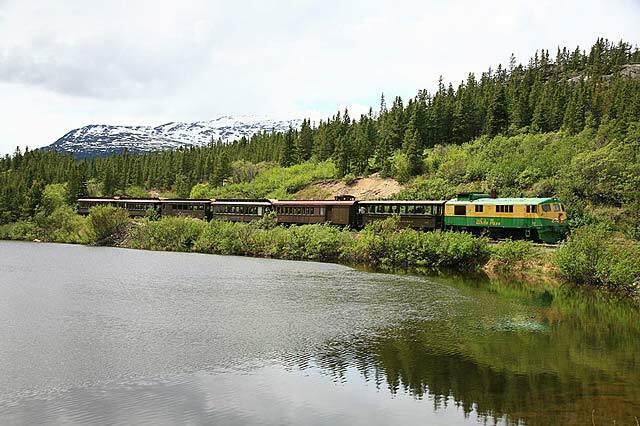 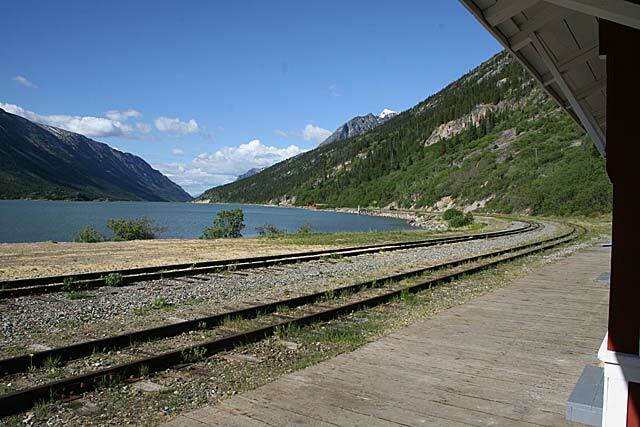 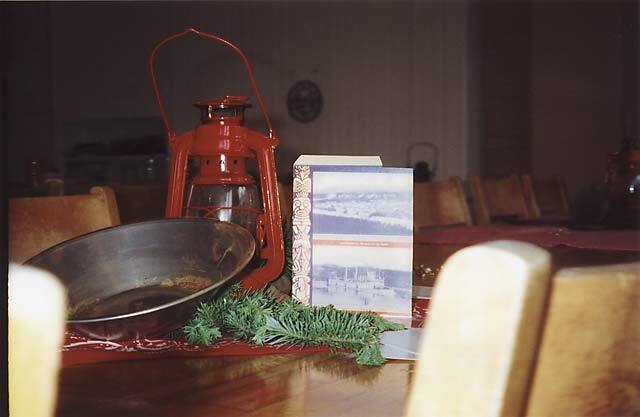 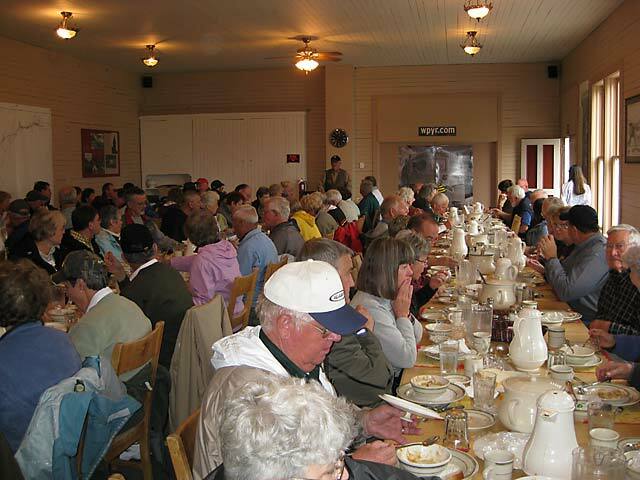 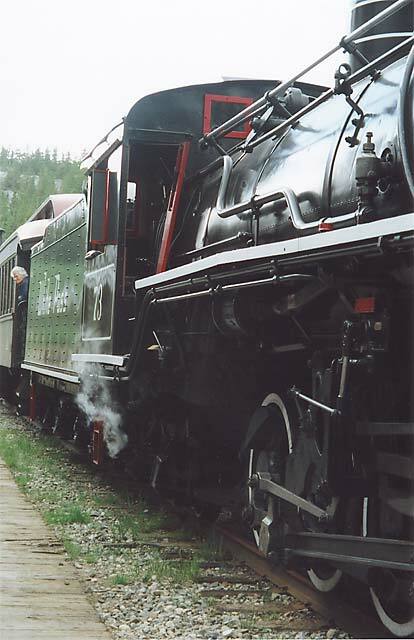 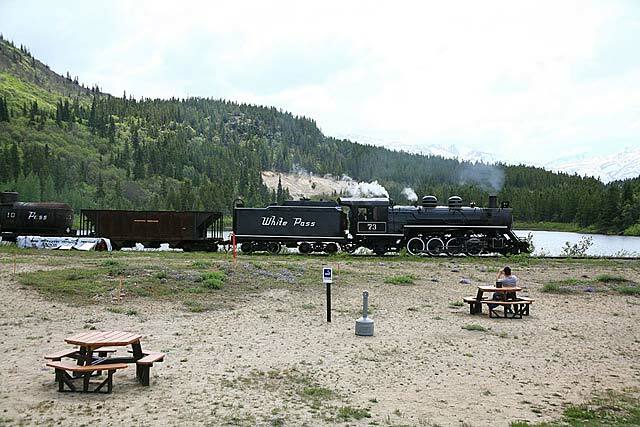 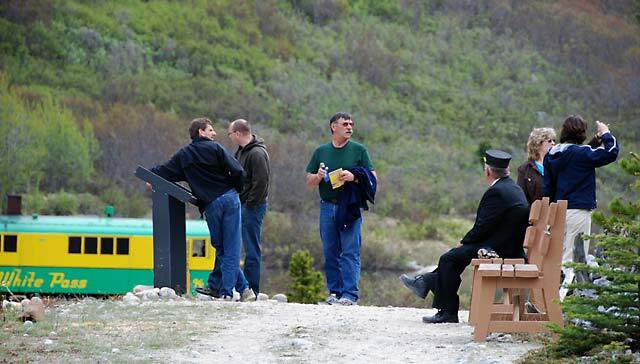 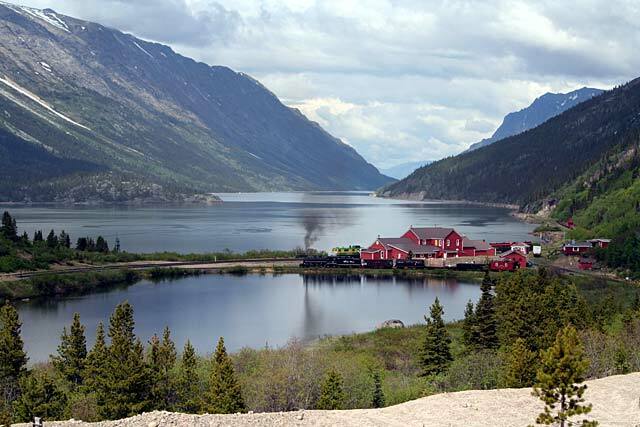 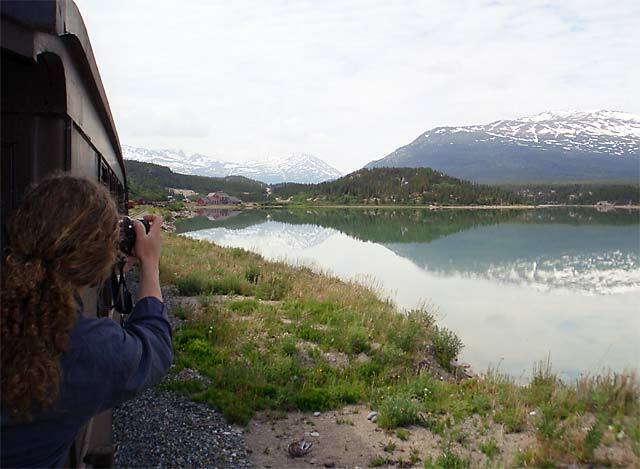 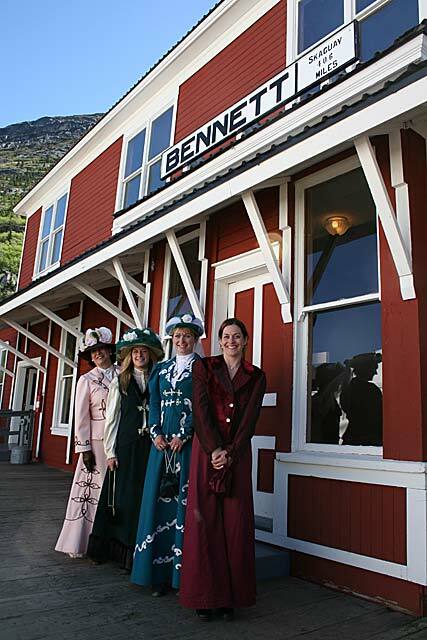 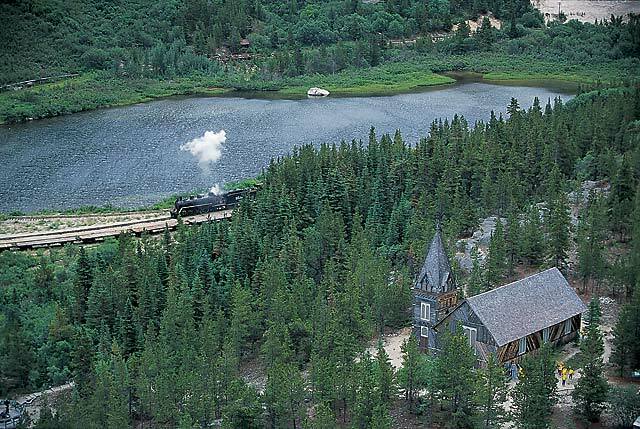 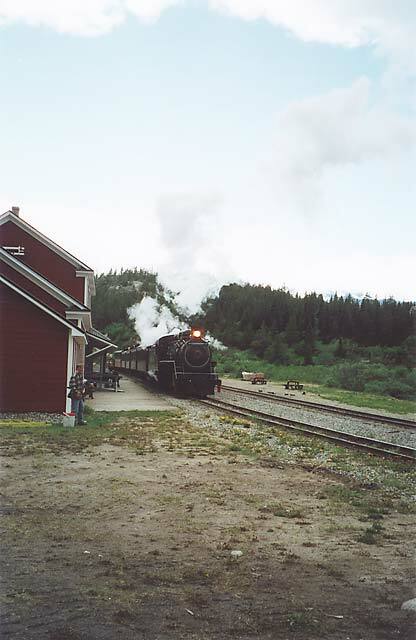 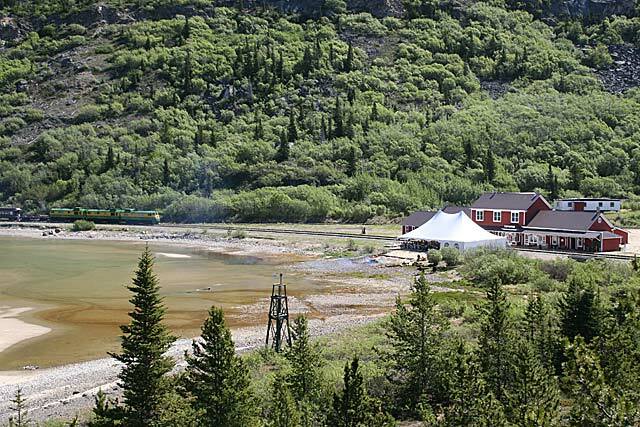 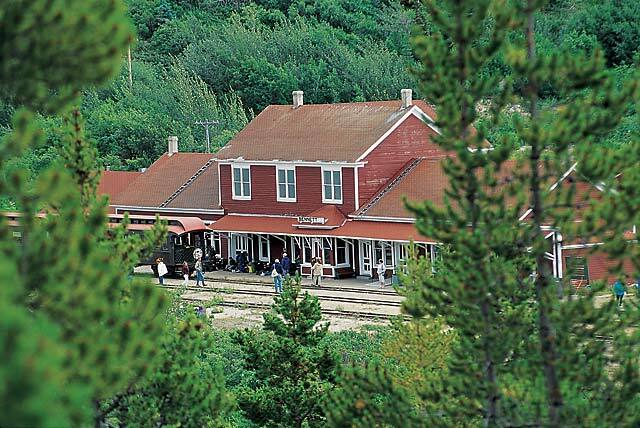 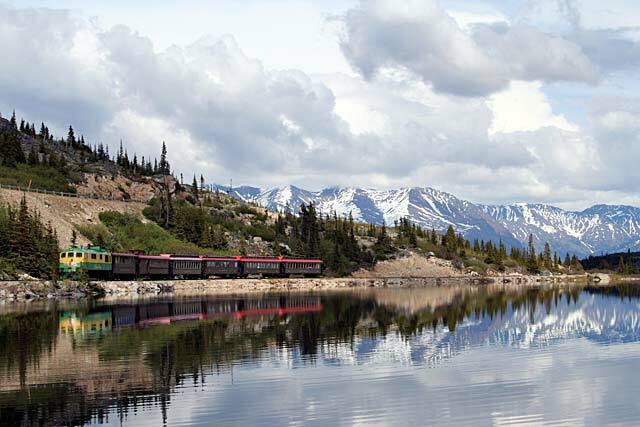 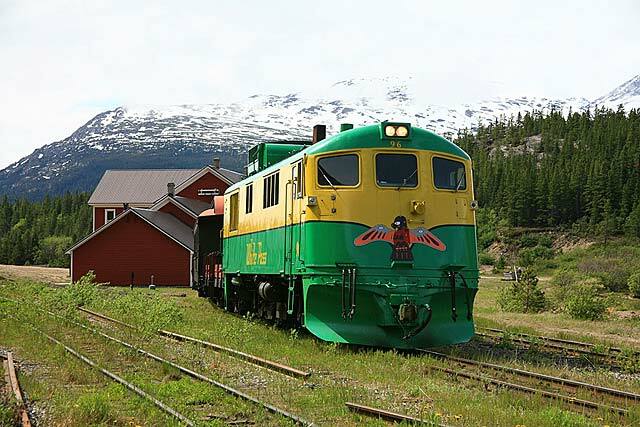 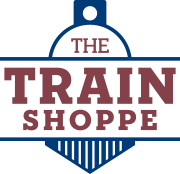 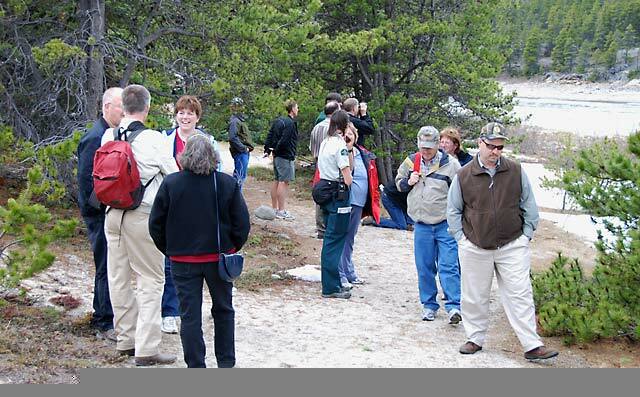 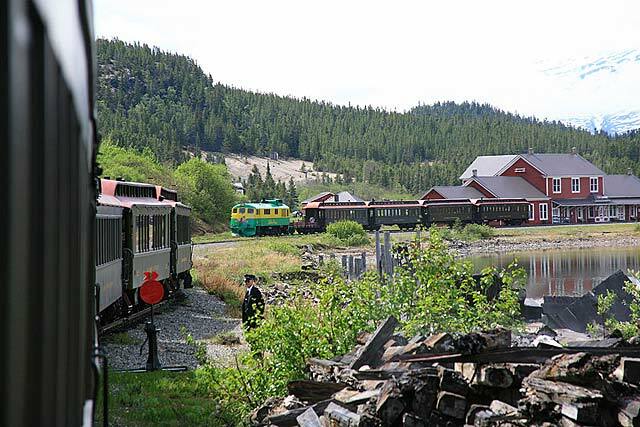 Scheduled train excursions visiting Bennett include an onboard boxed lunch along Lake Bennett. 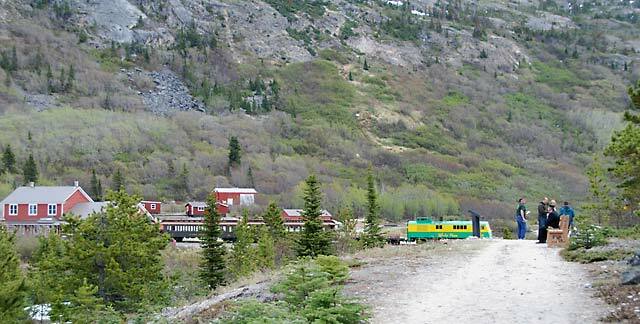 Come, step outside the station into a unique sub-alpine ecosystem. 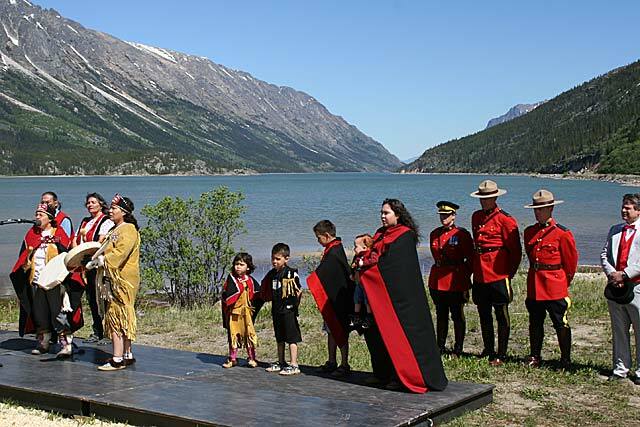 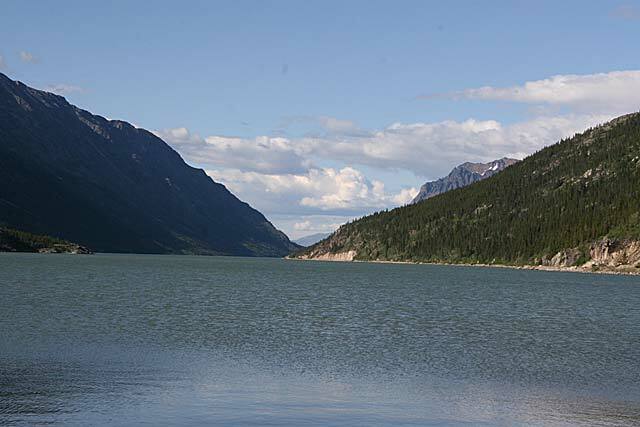 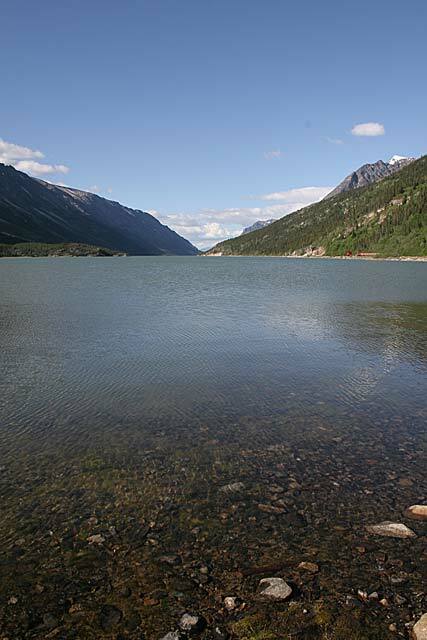 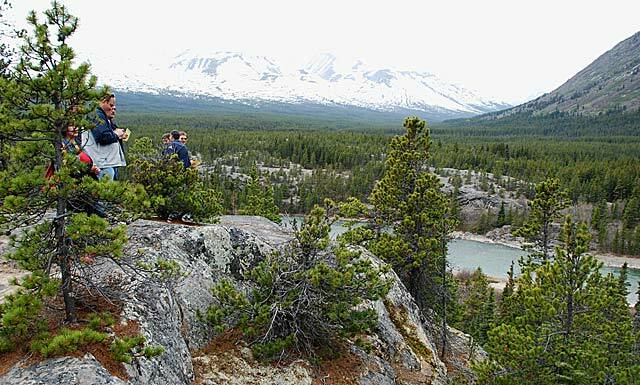 Walk in a landscape carved by glaciers millennia ago, and see it much as it was when coastal Tlingit traders first slipped over the Chilkoot Pass to meet their trading partners, the interior Tagish First Nations peoples. 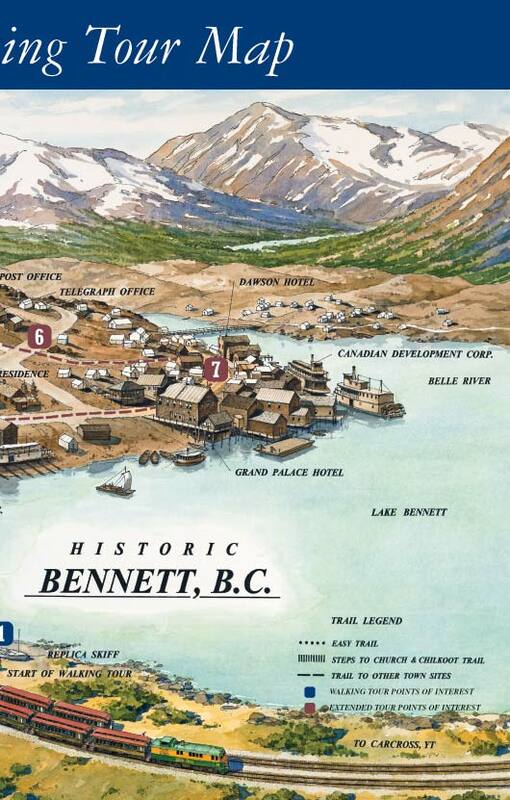 Imagine you were here in 1874 when prospector George Holt became the first outsider to arrive at Bennett’s shore. 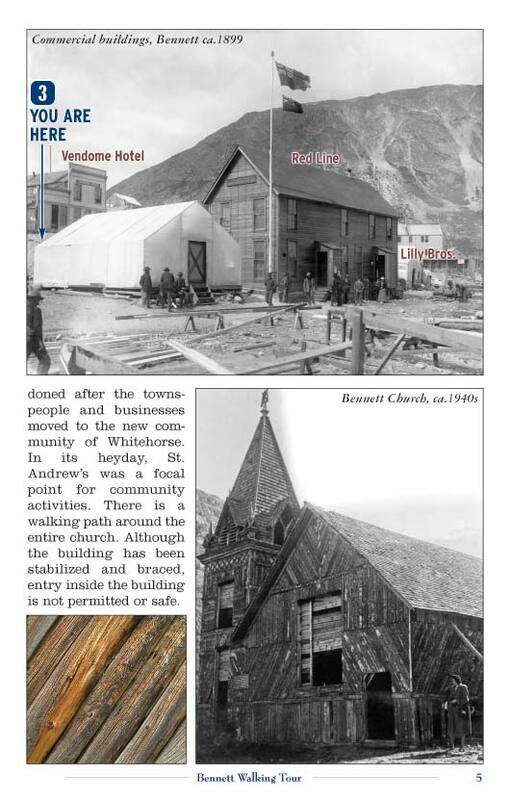 As the trickle of hardened “Sourdough” prospectors over the mountains continued to grow, in 1897 they were joined by thousands of “Cheechacko” newcomers. 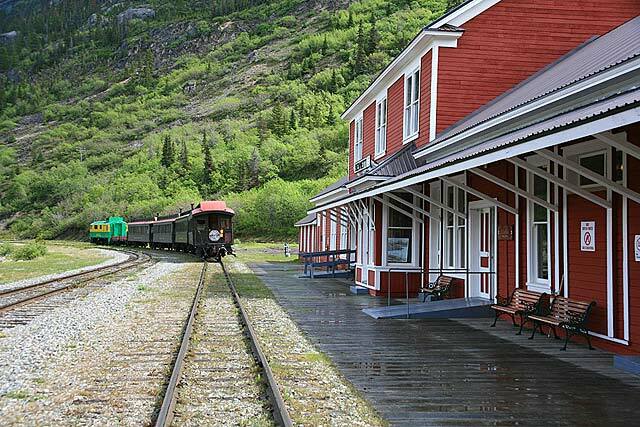 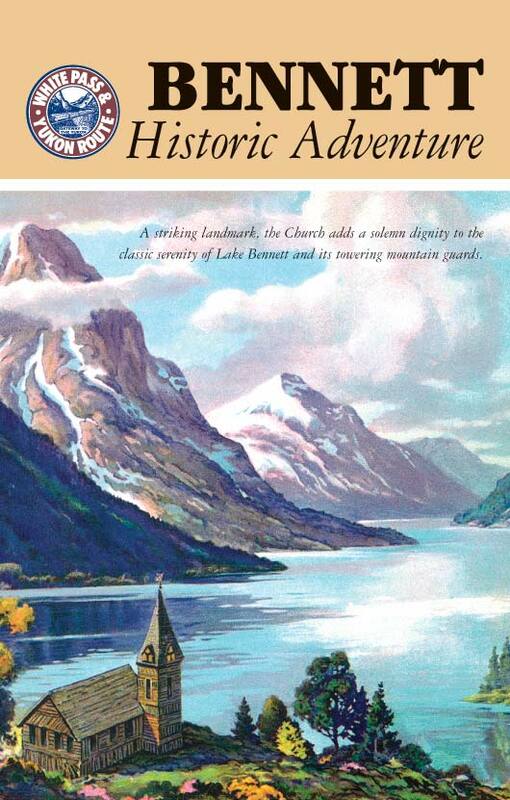 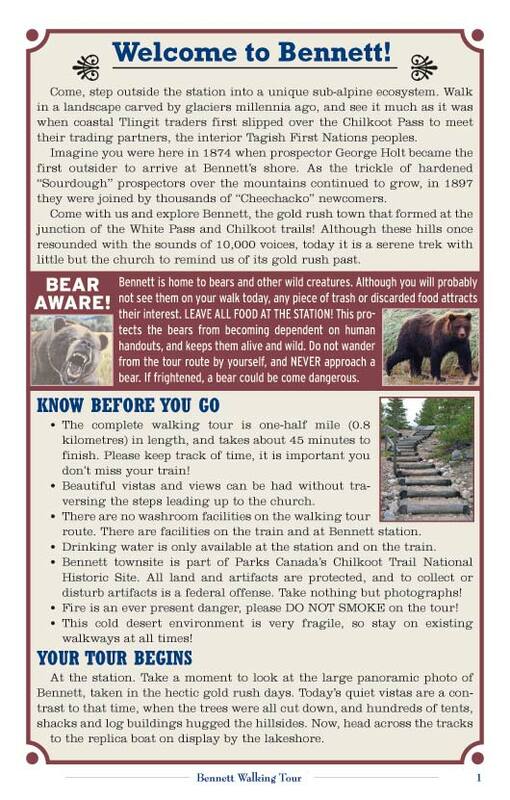 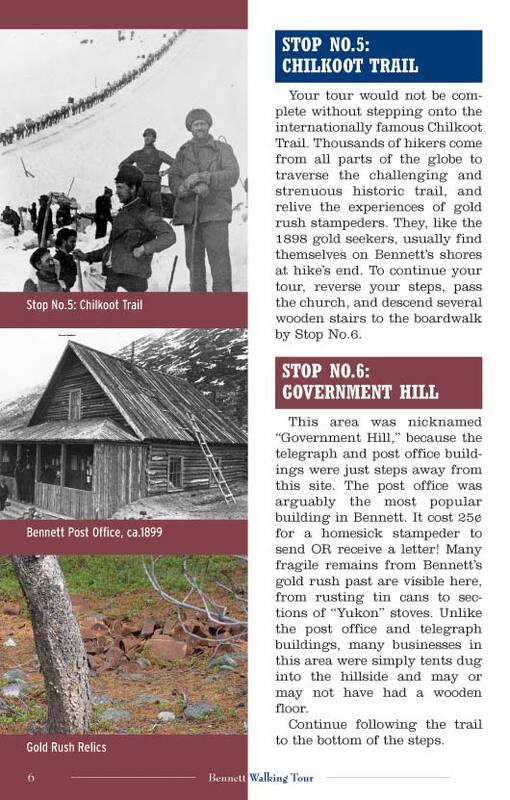 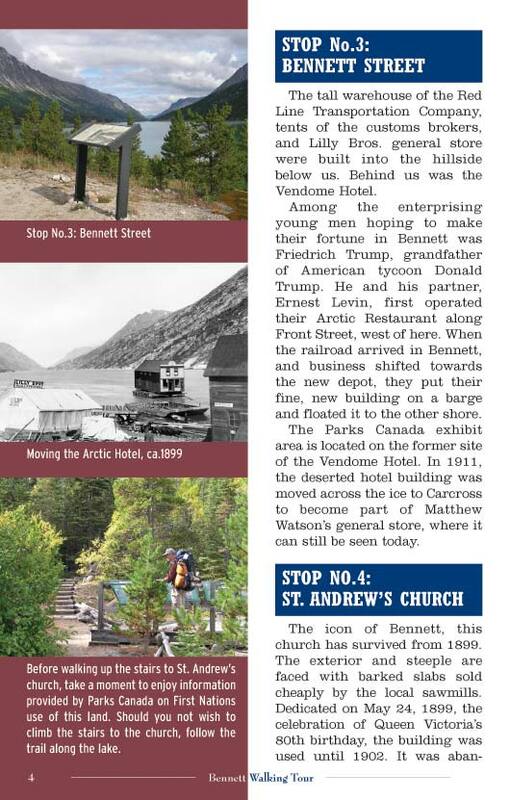 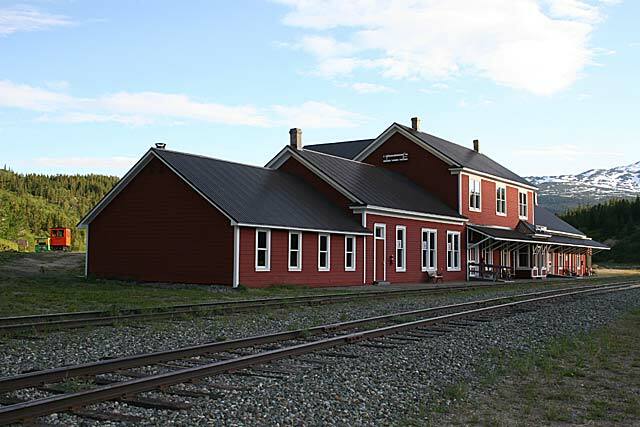 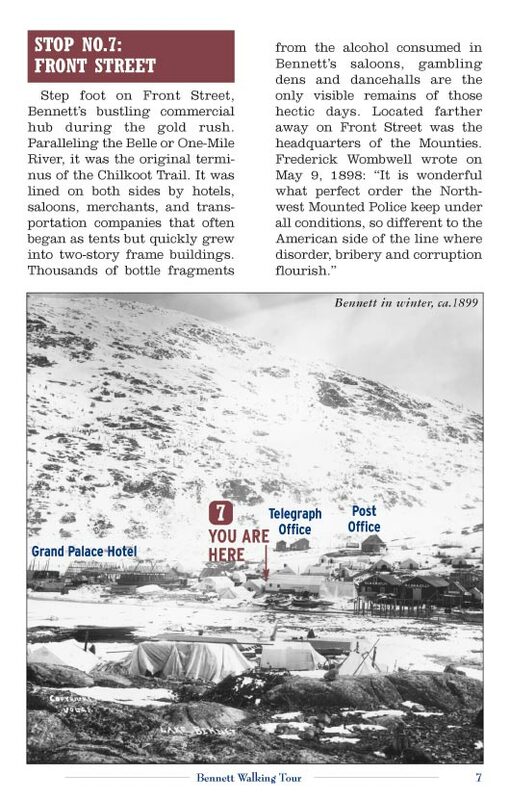 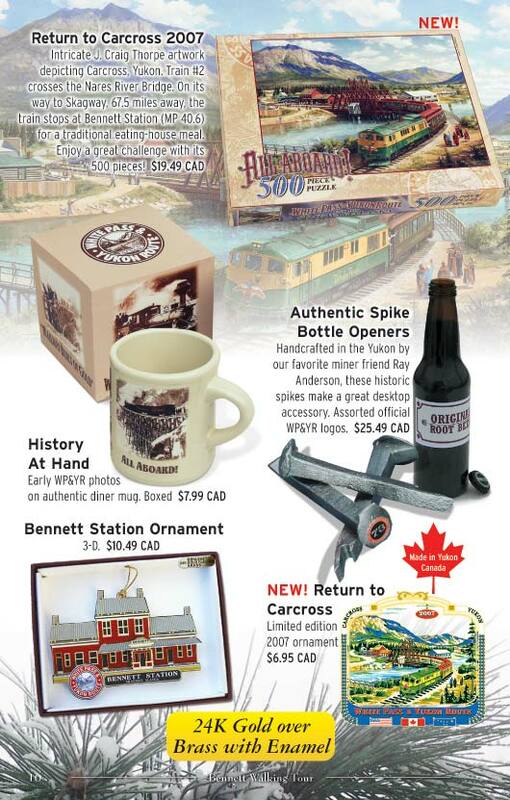 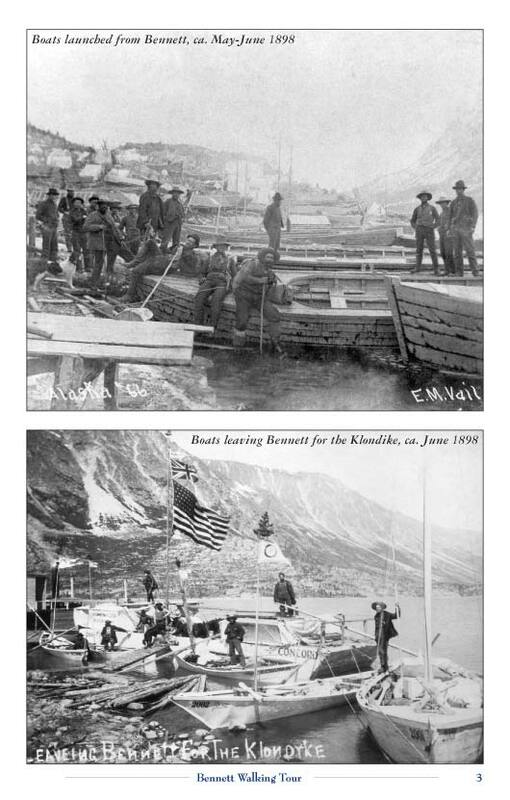 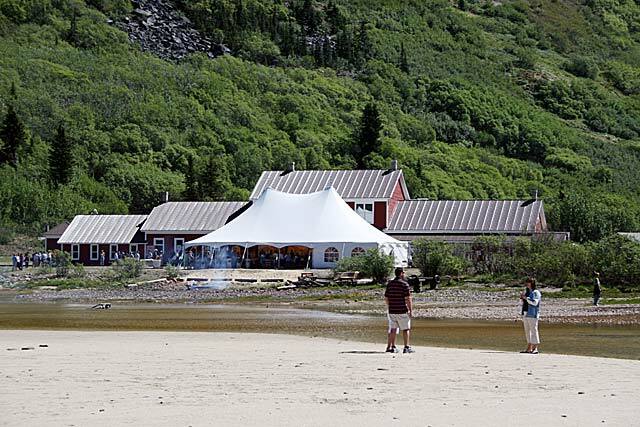 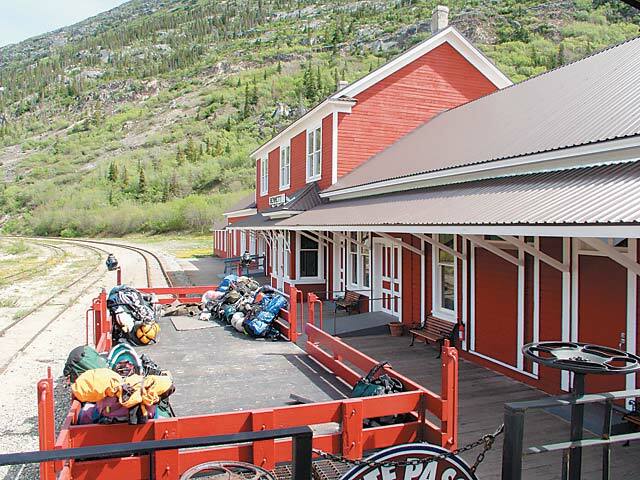 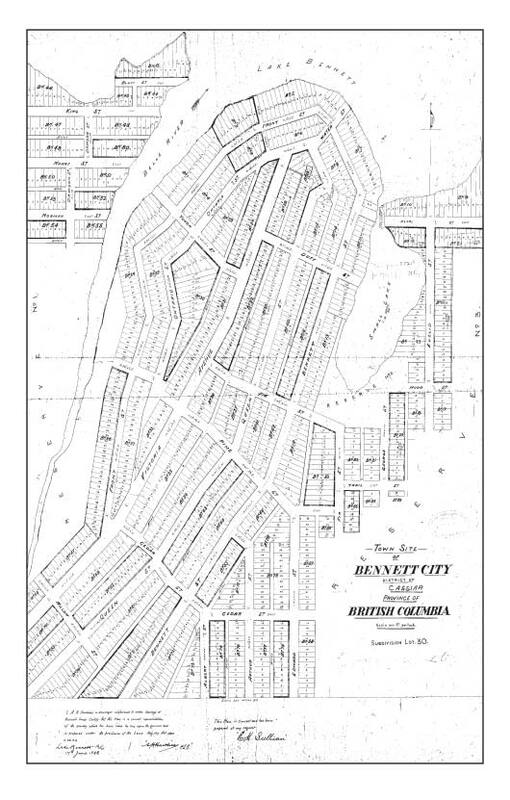 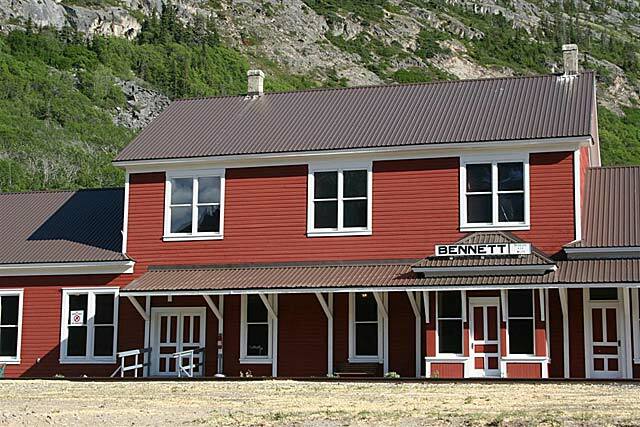 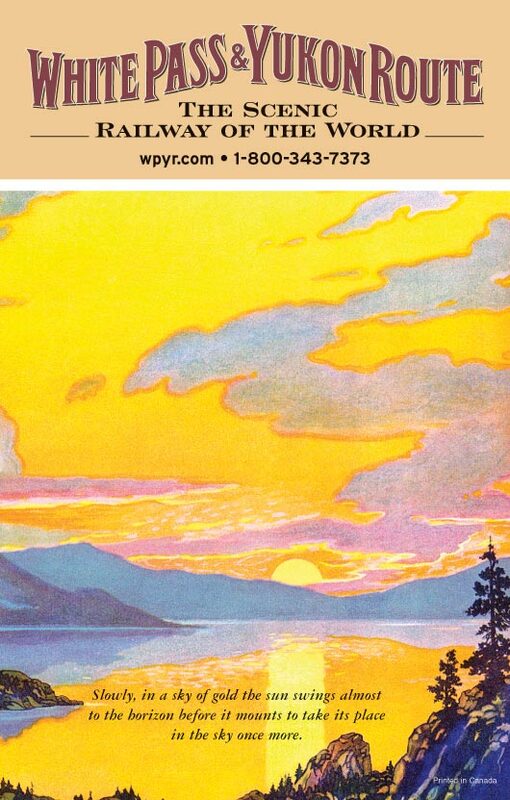 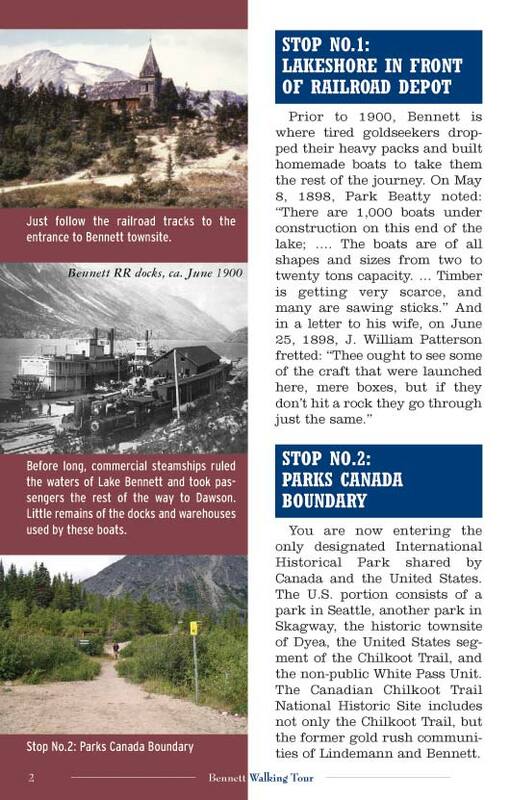 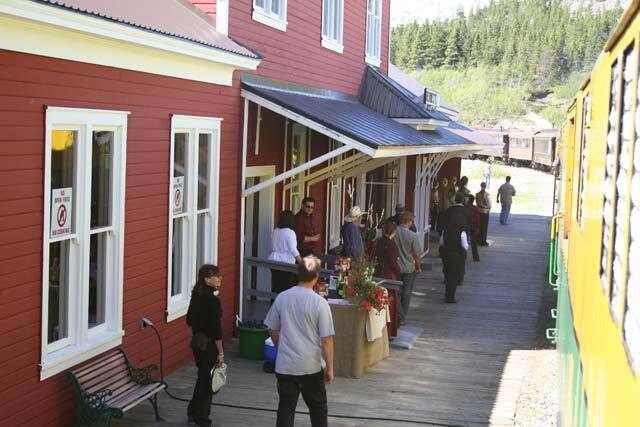 Come with us and explore Bennett, the gold rush town that formed at the junction of the White Pass and Chilkoot trails! 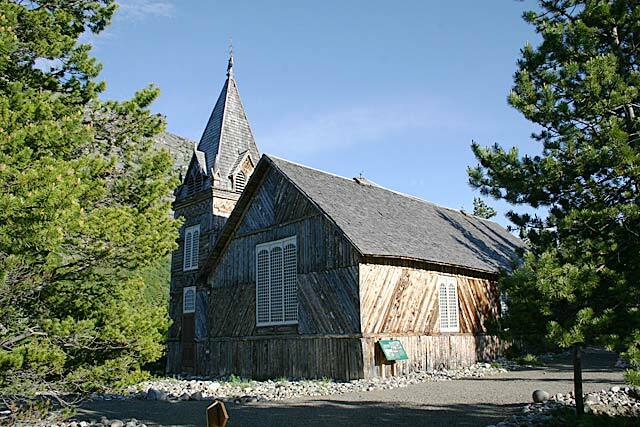 Although these hills once resounded with the sounds of 10,000 voices, today it is a serene trek with little but the church to remind us of its gold rush past.